← What are we? Heckery Dekkery Dot Travel Game Postcards for Children wants to know! Memorial Day in America is the day American’s honor those who died serving their country in all wars. How will you be celebrating? 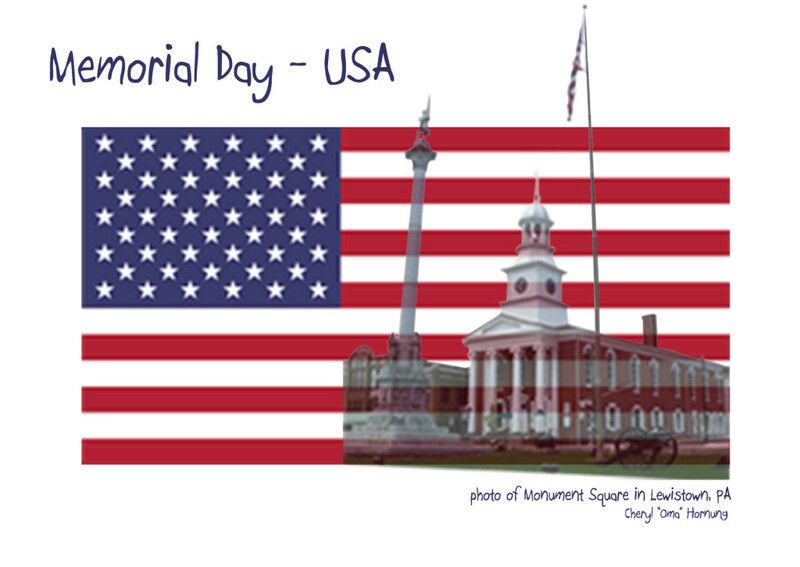 Will you go to a Memorial Day parade or picnic? Will you attend a special service with fireworks? Heckery Dekkery Dot Travel Game Postcards for Children salutes those who have served and those who are serving, and honors those who gave their lives in the service of their country. Learn more about Memorial Day in America at ENCYCLOPÆDIA BRITANNICA Online, an excellent resource for information. . . . This entry was posted in #Children, #Education, #Family, #Fun, #Grandparents, #Memorial Day, #Postcards, #Travel, #Travel #Postcards and tagged #children, #discover, #Education, #Educational, #family, #Friends, #fun, #grandparents, #Learn more about the #world, #parents, #photo #postcards, #Teachers, #Tourists, #Travel, #Vacation. Bookmark the permalink.